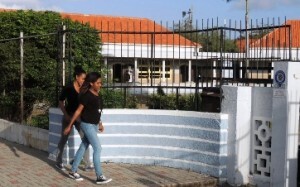 WILLEMSTAD - There will be 4 million guilders available for students wishing to study in the Caribbean region. That's 2.5 million more on top of the 1.5 million which was released previously. This was announced by the Ministry of Education, Science, Culture and Sports. Margit de Freitas, director of the Foundation Education Funds (SSC) says to be very relieved with the increase in the budget. The Foundation believes the extra money is seriously needed as more students choose the region to continue their education.